With college comes final exams, which as we all know can cause a lot of stress. 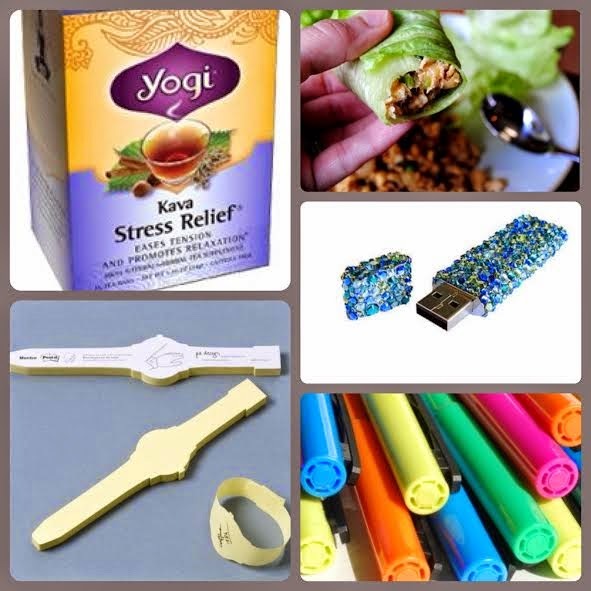 Here are some great things that help me deal with stress and getting through finals. *Yogi stress relief tea- It’s important to stay hydrated when stressed so what better way to become more zen then drinking tea? *I like to go on Pinterest and search for a recipe and take an hour from my studying to make something and enjoy my dinner without worrying about homework. I recently made chicken lettuce wraps and they were delicious! All you need is ground chicken, green onion, ginger, salt, pepper, soy sauce, a head of lettuce to use as your wrap and you can use the crispy rice sticks or I just put jasmine rice in mine. *My flash drive holds my whole entire life on it. You don’t want to be in a situation where you’re working on your project and your computer dies or the program freezes and you loose everything. Don’t forget to constantly save your work and save to your computer, flash drive, and e-mail it to yourself. It may sound crazy but no one wants to start over on a project they worked all night on. *Highlighters are everything to me because once I purchase a textbook I highlight and write side notes in it. I also use different colors for different chapters in my notes to keep everything organized and highlight specific topics that professors will go over multiple times. I also use a different color to highlight topics that I might find confusing and need to research outside of class. *Sticky notes also help me not only during finals week but just for everyday organization. I post them everywhere in my apartment so I remember things- I put one on my fridge that reminds me to buy more milk or during finals week I write a list of each thing that needs to get done. They are a great way to keep you organized and once you physically see everything that needs to be done you just want to get it accomplished so you can check it off your list. I hope some of these tips help you and if not just take a deep breathe and go to the grocery store and cook up a delicious dinner for yourself because we all need to take a little break and it’s important to eat even when we are so busy.